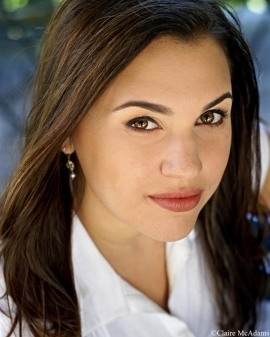 Mezzo-soprano Rachel Calloway has established herself as one of the most versatile singers of her generation. Praised by the New York Times for her “penetrating clarity” and “considerable depth of expression” and by Opera News for her “adept musicianship and dramatic flair,” her 2013 – 2014 season includes performances with Ensemble Signal, Gotham Chamber Opera, the contemporary vocal chamber ensemble Ekmeles, the 2013 Next Wave Festival at BAM, Chameleon Arts Ensemble in Boston, the Amernet String Quartet at Bowdoin University, the Copland House, and American Opera Projects. She joins the faculty of the Cortona Sessions for New Music in Italy this June. Last season Ms. Calloway made her Latin American debut at the Festival Internacional Cervantino alongside the Amernet String Quartet and sang the world premiere of Gabriela Frank’s Santos with the San Francisco Girls’ Choir and Joana Carneiro. She created the title role in the first staged production of Mohammed Fairouz’s Sumedia’s Song in the inaugural Prototype Festival in New York City and returned to France for performances of Benjamin Britten’s The Turn of the Screw. She also appeared with Ensemble Signal in a portrait concert of Oliver Knussen at Miller Theater and with Alarm Will Sound singing Donnacha Dennehy’s The Hunger in New York (Zankel Hall) and St. Louis. With the contemporary vocal ensemble Ekmeles, Ms. Calloway appeared at Princeton University, Roulette, and the Bohemian National Hall in a large scale collaboration with Talea Ensemble in Beat Furrer’s FAMA. Last summer she made her Lincoln Center Festival debut alongside Ensemble Signal in Monkey Opera: Journey to the West and also appeared at the Bridgehampton Chamber Music Festival singing works by Brahms and George Crumb. Ms. Calloway has sung with Lorin Maazel at the Castleton Festival and CalArts, the Los Angeles Philharmonic’s Green Umbrella Series, and the Berkeley Symphony, and at Tulsa Opera, Central City Opera,Gotham Chamber Opera, Opéra de Lille, Athénée Théâtre Louis-Jovet (Paris, France) and Glimmerglass Opera. She has appeared in concert at The Kennedy Center, Zankel Hall at Carnegie Hall, the Strathmore Mansion in Maryland, New York Society for Ethical Culture, and the Miller Theater. Ms. Calloway is a founding member of Shir Ami, an ensemble dedicated to the preservation and performance of Jewish art music suppressed by the Nazis and Soviets.